The JAC was a product of Joe Algeri retreating to his home studio and rarely seeing the light of day (unless taking a quick jaunt on his tractor in Byford). A quick solo tour to the US last year has clearly reignited Algeri’s passion for playing live so he has enlisted some friends to flesh out The Jac. Love Dumb is the first fruits of that union. Inspired by the ‘60s but containing the Perth power pop sound of the ‘90s, Love Dumb, with its chugging guitars and killer hook has all of the ingredients that would see this tune sit happily beside the best of his work with Jack & The Beanstalk. Algeri draws on his fondness for Ray Davies with the subdued Truly Julie & Terry and Wherever You Go is a glass full of sunshine. You can’t call yourself a songwriter unless you have recorded a version of Thirteen by Big Star, so The JAC oblige. This solo live take finds that Algeri has fine-tuned his voice to bring a richness and some extra sweetness to the table, while Frantic Romantic sees The JAC plug in the keyboards to give the Scientists tune a Marc Almond inspired sheen. Love Dumb offers a few tunes of the upcoming The JAC album as well as some curios that are well worth the listen. 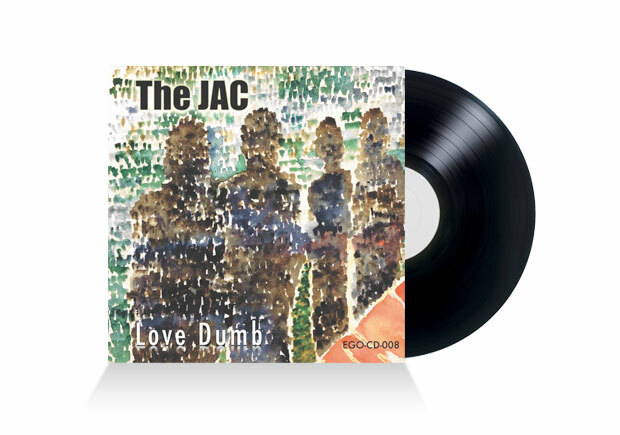 The release of Love Dumb will hopefully drag The JAC to the stages to show off their pretty new tunes.